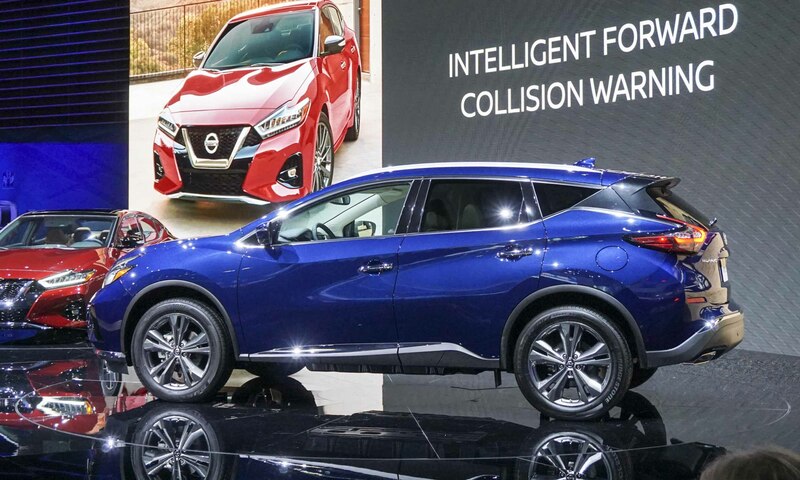 Today in Los Angeles Nissan unveiled a revised Murano crossover for the 2019 model year with updated exterior styling, interior refinements and available Nissan Safety Shield 360 technology. Murano first joined the Nissan lineup in 2003, early in America’s trend-setting switch from family sedans to crossover-utility vehicles. The 2019 Nissan Murano will be offered in four trim levels: S, SV, SL and Platinum. The only options offered are the SV Premium Package and the SL Technology Package. The SV Premium Package includes a power panoramic moonroof, an intelligent around-view monitor and a Bose premium sound system with 11 high-performance speakers. The SL Technology Package offers Safety Shield 360 technology, traffic sign recognition and a power panoramic moonroof. Snapping into step with other recent Nissan automotive designs, the 2019 Nissan Murano adds a larger, more prominent V-Motion grille flanked by redesigned LED headlights and new LED fog lights. The taillights are also a new design, and new 18- and 20-inch aluminum alloy wheels are offered. Three new exterior colors join the Murano palette: Sunset Drift Chromaflair, Mocha Almond Pearl and Deep Blue Pearl. 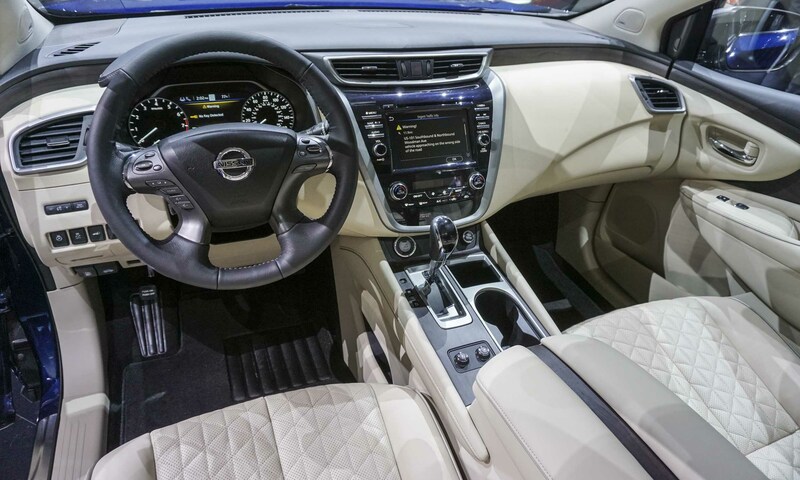 Inside, the 2019 Nissan Murano receives new semi-aniline leather seats for the Platinum trim level with diamond-quilted inserts and contrasting piping for the seats, door armrests and center console lid. Murano Platinum also adds new Dark Wood-Tone interior trim while the S, SV and SL trims offer the choice of Light Wood-Tone or Metallic interior trim. The new Murano can be equipped with Nissan Safety Shield 360, a package of six active safety and assistance technologies to provide active driver assist, crash avoidance and pedestrian detection. Safety Shield 360 includes automatic emergency braking with pedestrian detection, blind-spot warning, rear cross-traffic alert, lane departure warning, high-beam assist and rear automatic braking. For the 2019 model, Safety Shield 360 is standard on the Murano Platinum trim and included in the SL Technology Package. 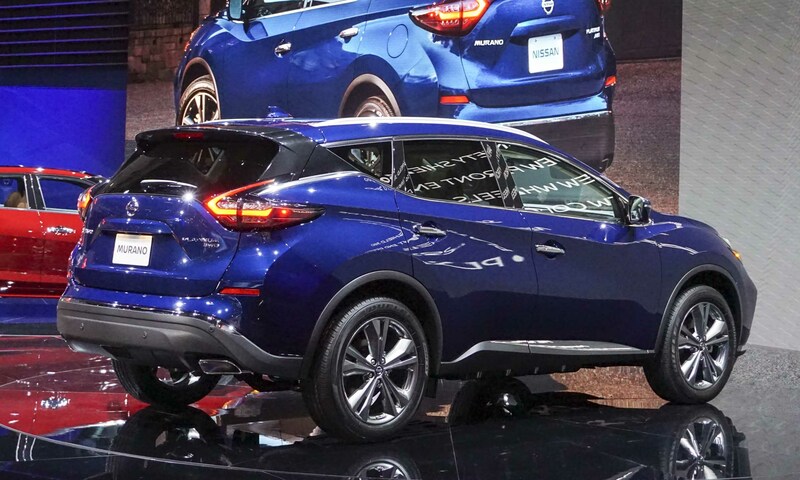 Standard on all Murano trim levels is Nissan’s rear door alert and intelligent driver alertness technologies. 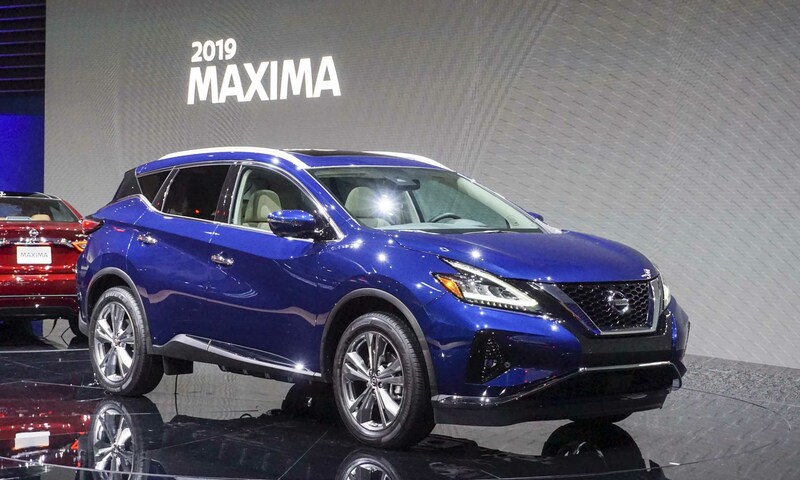 The exclusive engine for 2019 Murano is a 260-horsepower 3.5-liter V6 powerplant combined with an Xtronic continuously-variable transmission. 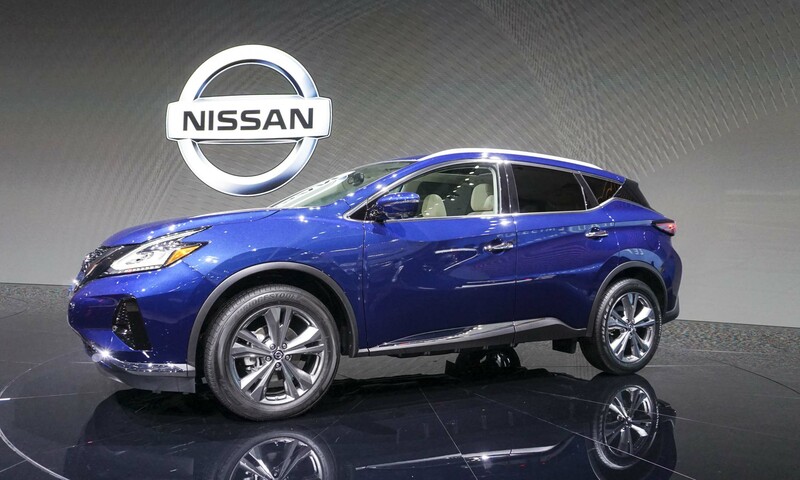 Murano is offered in front-wheel drive or with an available intelligent all-wheel-drive system. 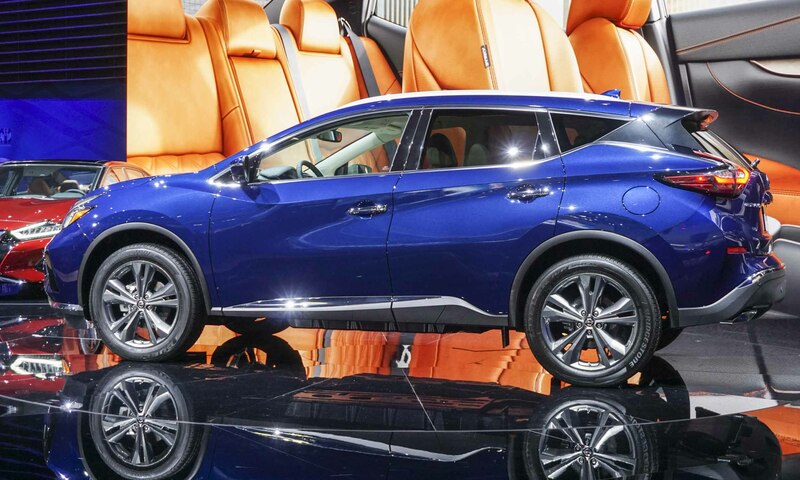 Standard for all Murano trim levels is NissanConnect with an 8-inch color display and multitouch control, featuring Apple CarPlay and Android Auto. 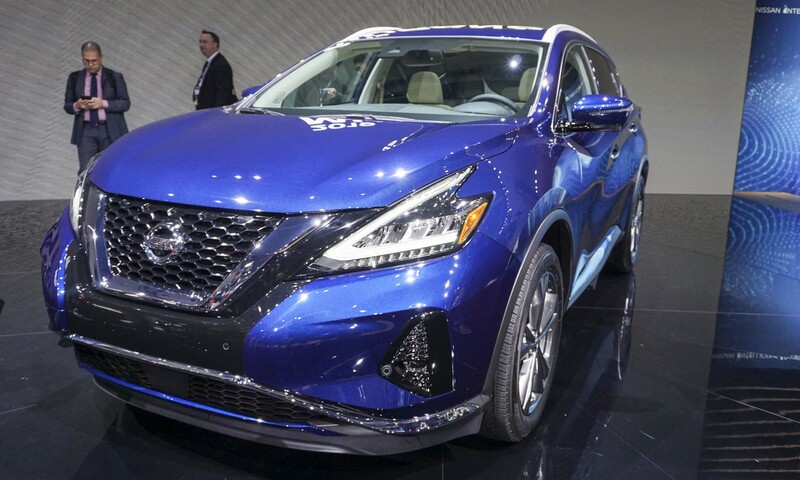 Murano SL and Platinum trims add NissanConnect with navigation, which is revised for 2019 to include door-to-door navigation with 3D building graphics and satellite imagery, an online point of interest search and premium traffic information. 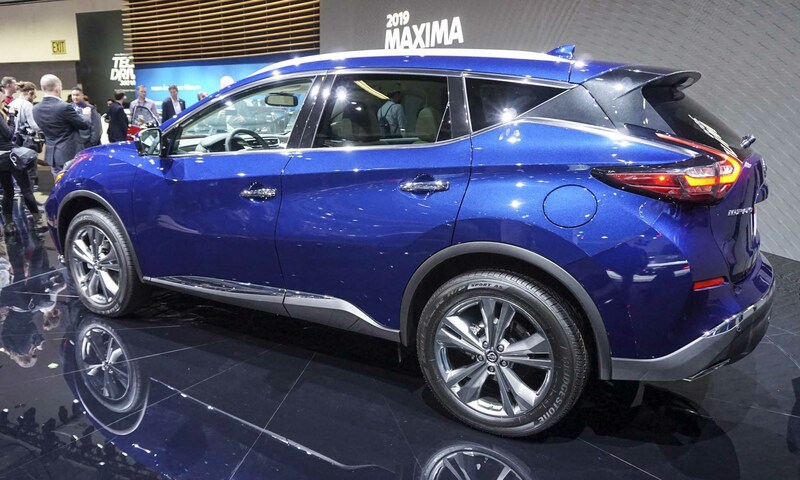 The 2019 Nissan Murano is scheduled to go on sale in December 2018.